Live and studio videos of The Atlantics. The Atlantics on Australian TV, playing Reef Break, unplugged. Great to watch these videos again.. When are you coming to Perth again?? 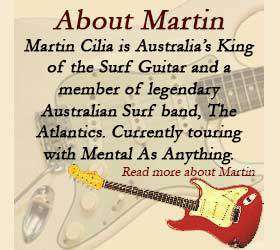 No plans for The Atlantics to tour but Martin Cilia might..